I would like to start by thanking Opinio Juris for providing a platform for the discussion of internationalized armed conflicts in international law. In the title of my opening post, I paraphrased Carl von Clausewitz to suggest that these types of confrontations have become “the wars of our age”. I think it is fair to say that the discussion thus far lends further support to this proposition. As noted by several contributors, numerous modern conflicts fit this category and it thus becomes essential to understand its exact contours and the legal implications of its use. I also want to expressly thank Susan Breau, Bill Boothby, Anne Quintin, Laurie Blank, Tamás Hoffmann, Katharine Fortin, Elvina Pothelet, Priya Pillai, and Alonso Gurmendi for their excellent comments on the book and its argument. Probably few things can make an academic author happier than the knowledge that their work is being read and engaged with. As I went through these thoughtful contributions, I have found myself agreeing with much of their analysis, including, I should add, many of the more critical observations. In the remainder of this post, I want to focus on four topics that have arisen across the nine contributions. I would love to respond to all of the excellent points made by the individual commentators, but doing so would certainly be impossible in the space available. As the second best option (I dare not say plan B), I have thus decided to choose instead one broader theme for each of the three parts of the book and, on top of that, an additional question that relates to the entirety of my argument. It is this overarching issue that I turn to in the next section. The big question: Is there such a thing as “internationalized armed conflict”? Several commentators have expressed some doubts about the legal valence of the central concept of the book. 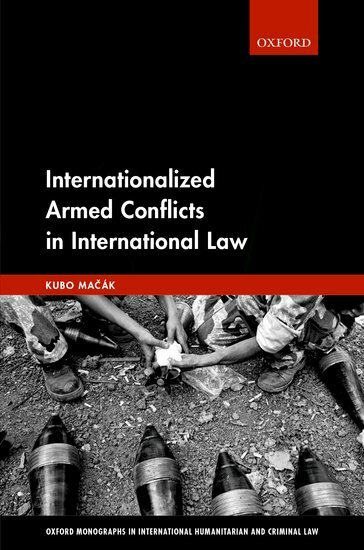 I am the first to admit that there is some conceptual confusion surrounding the notion of internationalized armed conflicts—something I discuss in detail in the book (pp. 24–28). In particular, I would reiterate that it is inaccurate to equate internationalized conflict either with (a) any civil war marked by some outside interference or with (b) any conflict characterized by a mixture of non-international and international elements. Although both of these views are quite common in the literature (you may find the specific references by following the links above: see fns 186 and 187), they are not sufficiently precise to capture the notion of internationalization. With respect to (a), this is because some intra-state armed confrontations remain non-international in nature in spite of outside involvement—such as when a third State supports the established government in its fight against an insurgency—so no internationalization as a matter of law occurs. As far as (b) is concerned, in today’s globalized world, almost any situation features a mix of internal and international aspects, and the key question is precisely which of those elements transform a non-international armed conflict (NIAC) into an international armed conflict (IAC). In 2015, the ICRC legal advisor Tristan Ferraro noted some of these conceptual problems and announced that, as a result, the ICRC was abandoning the use of the term “internationalized internal armed conflict”. Some of the criticism in this symposium shares the ICRC’s assessment that the term was “misleading” because, as Tristan had written, it “might seem to suggest that a single legal framework – the law of IAC – applies to such situations or that they constitute a third category of armed conflict for which the applicable legal framework is uncertain” (p. 1251). Perhaps paradoxically, I believe that these reasons are exactly why we do need the notion of internationalized armed conflicts. This is even though I agree that such situations do not amount to a “third category of armed conflict”, at least not in the sense of a category existing at the same level of abstraction as IACs and NIACs. Instead, as I explained in my introductory post, the notion of internationalization is predicated on the continued existence of a dichotomy between IACs and NIACs. Accordingly, internationalized conflicts are those NIACs that have transformed into IACs as a matter of law. It may be easier to understand this conceptualization through a more tangible analogy. So let me draw a light-hearted one at this point, inspired by the wintery scenes that parts of the northern hemisphere are enjoying these days. I think everyone will agree that only if there is a distinction between solid and liquid states of matter (which there is, as any fifth-grader can confirm), does it make sense to study the melting of snow (which it does, for example if you happen to be a climate scientist). Similarly, it is because we have the established legal categories of NIACs and IACs that it is essential to understand how and when one transforms into the other in law, and what legal consequences this transformation produces. So, let’s suppose that you accept the importance of understanding the process of snow melting conflict transformation. You could still question whether the product of such a transformation (i.e., slush an internationalized conflict) amounts to a separate “legal category”, as some commentators have done. I guess to some extent the difference between my view and this position is semantic: what exactly qualifies as a “legal category”? However, putting semantics aside, the crux of the issue is that as a matter of practical application, the concept of conflicts that have undergone the process of internationalization is an essential one. This is precisely because it is far from obvious that (to use Tristan’s words again) “a single legal framework – the law of IAC – applies to such situations” – even though that’s of course exactly what we would expect after internationalization. After all, as a matter of strict legal analysis, such conflicts now are IACs in law. But the specific circumstances of internationalized conflicts and especially their intra-state origin make them a particularly uneasy match with much of the law of IAC, which has evolved as a regulatory framework for inter-state wars. That’s why, in a nutshell, I think it is fair to conclude that we need the concept of internationalized armed conflicts, and that is why it has a particular legal valence that justifies its analysis as a notion independent from “ordinary” or “classic” IACs. If another (and a slightly more serious) analogy is needed, studying internationalization in international law is perhaps a bit like studying naturalization in domestic law. 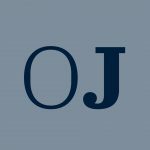 Although probably all municipal legal orders contain a clear-cut dichotomy between nationals and non-nationals, the legal position of naturalized nationals (i.e. those who have “transformed” from non-nationals to nationals as a matter of law) may differ in important aspects from that of “ordinary” nationals. This focus on (the idea, the process, and the outcome of) the relevant legal transformations is what I meant when I wrote that the book “adopts a dynamic lens for its scrutiny” (p. 2, emphasis original). Theme #1: How do we untangle the complexities of multi-party internationalized conflicts? One of the compounding factors for the analysis of conflict internationalization is that such conflicts frequently feature more than two conflict parties. For one modality of internationalization—that is, internationalization by foreign intervention—this multiplicity of parties is a defining feature: the intervener will be, at a minimum, the third conflict party joining the two already interlocked in an armed confrontation. For other modalities—such as state dissolution or recognition of belligerency—the higher number of parties is not automatic, but may nonetheless come about in reality, as illustrated respectively by the Bosnian conflict (1992–95) and the Second Boer War (1899–1902) (for more details, see p. 88 of the book). The term I used in the book for such multi-party confrontations is “complex conflict situations” (the title of chapter 3). To some extent, that chapter extends the analysis of internationalization by intervention in chapter 2. But, as noted, the scope of chapter 3 is broader in that it applies generally to all modalities of internationalization. As such, it should also be read with that difference in mind, and it is thus probably unsurprising that its conclusions do not at all times map exactly on the factual pattern of outside interventions. Still, the analysis in both chapters is, I hope, broadly consistent and free from internal contradictions. In this regard, one issue that has been highlighted by several contributions is the relationship between the notion of overall control discussed in detail in chapter 2 and (the loss of) operational autonomy, which is central to the analysis in chapter 3. By way of a brief summary, in the book I endorse the former as the correct test for the internationalization of armed conflicts involving non-consensual outside intervention because, I argue, it is realistic in nature, it is grounded in decades of international jurisprudence, and it is also conceptually accurate (pp. 46–47). As far as the latter is concerned, I see the moment when a conflict party relinquishes its operational autonomy in favour of one of its allies as the tipping point after which their use of force against the common enemy should be seen as a joint effort, which encloses all three of them in a single IAC (pp. 103–04). I think a part of the confusion as to the supposed discrepancy between these two tests lies in the misleading name we use for the overall control test. As noted in the book (p. 46 fn 128), that label is to some extent a misnomer because, strictly speaking, “overall control” is not actually about “control” in the ordinary sense of the word. Why not? You will recall that the overall control test consists of two main prongs: essentially, support and co-ordination. Yet, as a matter of plain English, if (1) A supports B and, at the same time, (2) A participates in the co-ordination of B’s activities, we would probably not say that the combined meaning of statements (1) and (2) is that A “controls” B. Sure, A has a significant influence over what B does, but this does not reach the level of being “able to make [B] do what [A] want[s it] to do” in the dictionary sense of the term control. The fact that this label has stuck is because the Appeals Chamber of the ICTY had originally chosen it to distinguish it from the more demanding test of “effective control” in the Tadić case in 1999 and it has since been used a myriad times by that tribunal, by other international courts, and by many, many scholars. Although in the example above A cannot necessarily force B to do whatever it wants, it is clear that in accepting such a high degree of outside influence over its actions, B can no longer be said to act with full operational autonomy. And if A happens to be an intervening state, while B is a non-state armed group fighting against state C, and the relevant actions of A and B qualify as a use of force (in the IHL sense of the term) against state C, then the three actors should be seen as involved in a single IAC. In such a scenario, the overall control test and the operational autonomy approach neatly align and produce a consistent outcome. A is exercising overall control over B, who is therefore no longer operationally autonomous, and this all means that the complex conflict situation featuring A, B, and C qualifies as a single IAC. Finally, the fact that a particular complex conflict situation qualifies as a single IAC does not in and of itself determine the question of the legal personality of the individual actors (as assumed by one of the contributions). To the extent that the non-state armed group maintains a degree of operational autonomy, it will equally retain its limited legal personality—or, in other words, its capacity to possess rights and duties under IHL. One of the consequences of this view is that such an armed group could qualify as an occupying power in an internationalized armed conflict (see p. 229). By contrast, if the entirety of the armed group’s operational autonomy is sacrificed in favour of the intervening state, I would agree that the group will thereby be “legally absorbed” by that state. The way I put it in the book is that in such situations, “the role of the ‘Party to the conflict’ … is held by the outside intervening power” (p. 179). In short, my view is that the question of (continued) legal personality of the relevant actors is separate from the qualification of the conflict under IHL. Theme #2: What are the costs and consequences of granting combatant status in international(ized) armed conflicts? In the second part of the book, I argue that fighters belonging to non-state armed groups participating in internationalized armed conflicts are, in principle, eligible for combatant status. This is certainly not an uncontroversial position, which is reflected in several symposium contributions that have discussed the costs and consequences of this approach. In this section, I would like to briefly address two interesting issues identified in those posts. The first issue I would like to clarify relates to my argument that the prevalence of amnesties in modern conflicts indicates that states are actually much less keen to prosecute their non-state opponents for mere participation in hostilities than we might think (pp. 154–56). I was careful not to make too much of this observation and it might be worth repeating that it does not, in particular, provide the grounds for a novel type of combatant status under the law of NIAC (p. 155). But the empirical fact that such amnesties are a feature of the majority of modern conflicts cannot be ignored. To my mind, it suggests that states realize that the threat of prosecution for mere participation in hostilities amounts to a formidable disincentive to comply with the law for the non-state actors in question. To be sure, this does not apply to every conflict situation in the world equally. Some states may consider the costs of granting a blanket amnesty as too high and perhaps even as amounting to (in the words of a commentator) “an obstacle [to] national reconciliation”. But my argument does not presuppose that existing amnesties would cover all acts, however atrocious, that might have been committed by members of non-state armed groups during internationalized armed conflicts. Rather, I have focussed solely on the provision of immunity for mere participation in hostilities, i.e., for acting as soldiers are expected to do. As noted, I consider that the extension of status to such persons in principle provides an incentive for them to abide by IHL (p. 144). However, those actors would (as I wrote elsewhere) “nevertheless remain liable for prosecution” for serious violations of IHL (like the “gruesome incident” described in the same contribution). So perhaps the costs of adopting this approach are not too problematic even in societies that place a high premium on post-conflict accountability. The second issue relates to the nature of combatant immunity, a key consequence of combatant status. In the book, I argued that although this notion is sometimes styled as a “privilege”, it does not in fact provide any additional rights to persons who qualify for it and it does not invalidate the relevant prohibitions found in domestic criminal law. Rather, it only serves to prevent prosecution for conduct with respect to which IHL remains normatively neutral (pp. 144–45). In response, one of the reviews has suggested that IHL, in addition to providing combatants with immunity from prosecution, also has the effect of depriving those persons’ “acts that comply with IHL … of their criminal character”. I think this is an interesting point, particularly as its significance goes beyond the situations of internationalized conflicts and it would apply equally to all IACs. Before going any further, it bears reiterating that what IHL sees as legitimate acts of warfare otherwise amounts to serious domestic crimes including assault, arson, kidnapping, or murder. To my mind, IHL could only conclusively remove the criminality of such conduct if it provided an affirmative authority or a positive right to engage in such actions, which would override the concomitant domestic prohibitions. However, it does no such thing: as I show in the book, even the phrasing of Article 43 AP I, which expressly recognizes the combatants’ “right to participate directly in hostilities”, was not meant to grant any additional right, but simply to avoid using more controversial terms in the definition (p. 145 fns 34–35). Therefore, the legal effect of IHL in this regard is better seen as procedural in nature: it provides a bar to prosecution, but it does not displace the substantive domestic prohibitions of intentional killing and other forms of criminal behaviour. Theme #3: Who may qualify as a protected person in internationalized armed conflicts? In the third part of the book, I discuss the applicability of the law of belligerent occupation to internationalized armed conflicts. One of the building blocks of the analysis is the designation of “protected persons” in situations of belligerent occupation. Here, once again, the intra-state origin of internationalized conflicts comes to the fore. This is because the orthodox criterion used to determine someone’s status as a protected person under IHL is the nationality of that individual. However, if a conflict breaks out in the territory of a single state, at least initially all affected persons share the same nationality, which thus poses a fundamental challenge as to the personal scope of application of the law. As an aside, this is not necessarily a problem for all internationalized armed conflicts, or at least not to the same degree. In particular, if an erstwhile NIAC transforms its legal nature due to internationalization by state dissolution, the resulting situation will in this regard be very similar to so-called “standard IACs”. That is, following the moment of internationalization, two independent states will be interlocked in an armed conflict against one another. As a result, it will also be conceptually possible (though there may still be some practical difficulties in doing so) to discern between the nationals belonging to each of those states. However, other forms of internationalization may not produce such clear-cut distinctions. In particular, in a conflict internationalized by foreign intervention, it may well happen that individuals who find themselves on the opposing sides in the confrontation will nonetheless share the same nationality. As is well-known, this was exactly the factual pattern in the Tadić case: although the Bosnian conflict qualified as an IAC due to the involvement of the Federal Republic of Yugoslavia, the alleged perpetrators had the same nationality as the victims, i.e. that of Bosnia and Herzegovina. But does that mean that such individuals are therefore outside of the scope of protection of IHL? 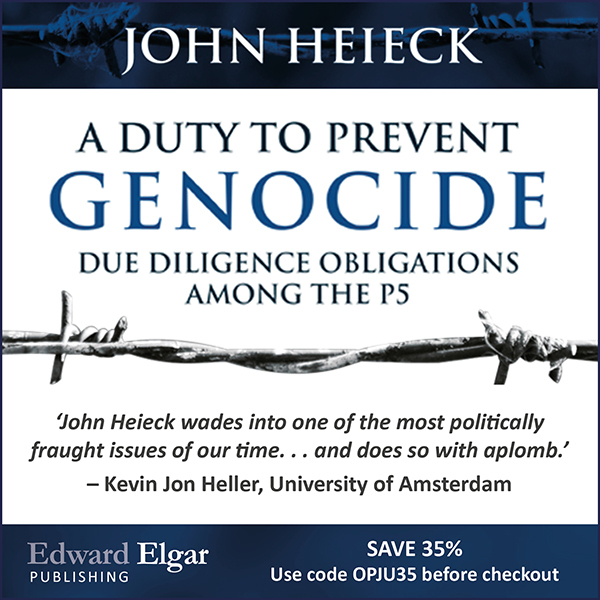 In the book, I endorse and develop the ICTY’s inclusive approach, which was itself built on a purposive view of IHL as a “body of law [that] is not grounded on formalistic postulates” (para. 96). The Tadić Appeal Chamber considered that in modern conflicts, substantial relations are much more important than formal ties and therefore factors other than nationality may become grounds for allegiance to individual conflict parties (ibid, para. 166). On that basis, the Bosnian Muslim victims were held to qualify as protected persons vis-à-vis their Bosnian Serb captors given that each group owed its allegiance to a different party to the conflict (ibid, para. 169). This approach will likely align with the moral instinct of many of the readers. After all, the alternative would be to remove a large group of people from the protective scope of IHL simply on account of their bad luck of being associated with the “wrong” side of the conflict. However, as this is a law blog, I hasten to add that this moral instinct also finds a solid grounding in the existing lex lata. Of course, the restrictive view also has a lot to be said for it and it certainly represents a reasonable interpretation of the applicable law. But I remain of the view that the inclusive interpretation (sometimes also referred to as the “extensive interpretation”) is to be preferred, and this is for two main reasons. Firstly, even though the literal text of Article 4 GC IV seemingly limits the personal scope of the Fourth Convention to persons who are in the hands of a state “of which they are not nationals”, an examination of the context of that provision reveals quite a few other rules which either expressly provide for the protection of individuals vis-à-vis their own state (such as Articles 44 or 70(2) GC IV) or which refer to allegiance instead of nationality as a method of associating protected persons with a conflict party (Articles 98(2), 105, 107(1), and 135(2) GC IV). To put the point at its lowest, I think it is fair to say that the ordinary meaning of Article 4 GC IV viewed in light of its context permits a good faith interpretation that goes beyond the strict bounds of nationality as the decisive criterion. Secondly, any ambiguity raised by the textual and contextual methods of interpretation is, to my mind, resolved by the teleological step of the analysis. In this sense, I agree with Keiichiro Okimoto’s argument that “since the object and purpose of IHL is to alleviate the suffering of individuals during armed conflict, any attempts at curtailing its application … [are] contrary to that object and purpose” (p. 1214). The Tadić Appeals Chamber based its approach on similar considerations when it held that Article 4 GC IV, “if interpreted in the light of its object and purpose, is directed to the protection of civilians to the maximum extent possible” (para. 96, emphasis added). In other words, the humanitarian aim of this body of law outweighs the competing considerations and thus it justifies the endorsement of the inclusive, allegiance-based approach to the identification of protected persons in internationalized conflicts. To conclude on this point, it may be useful to say a few words about the suggestion that, if we were to adopt the competing restrictive view, “the rules of non-international armed conflict” would still ensure that the victims would be no worse off in practice than under the inclusive view. Although one cannot deny the good intentions behind this proposal, I am not sure I am persuaded by it. In the first place, the respective protections under the law of IAC and the law of NIAC are still far from equivalent, which is convincingly illustrated by the fact that the ICTY’s adoption of the inclusive view on appeal necessitated a reversal of acquittals on several counts in the Tadić case (compare para. 608 of the trial judgement with paras. 170–71 of the appeal judgement). Other such differences have been persuasively identified by other contributors to this symposium and elsewhere in the literature. However, even if the gap in the protection of persons in IACs and NIACs were to completely disappear, the fall-back-on-NIAC suggestion would unfortunately not work due to the nature of the relevant rules on conflict classification. Specifically, as noted in my opening post and in more detail in the book itself, once a conflict has been internationalized, it becomes subject to the law of IAC (pp. 24–28). Hence, if a person in such a conflict were to fall outside of the scope of that body of law, the law of NIAC would not provide them with a “safety net” to fall on because this latter set of rules would not apply at all. For all these reasons, I remain of the view that the allegiance-based approach is an essential safeguard for the protection of victims in modern internationalized armed conflicts.